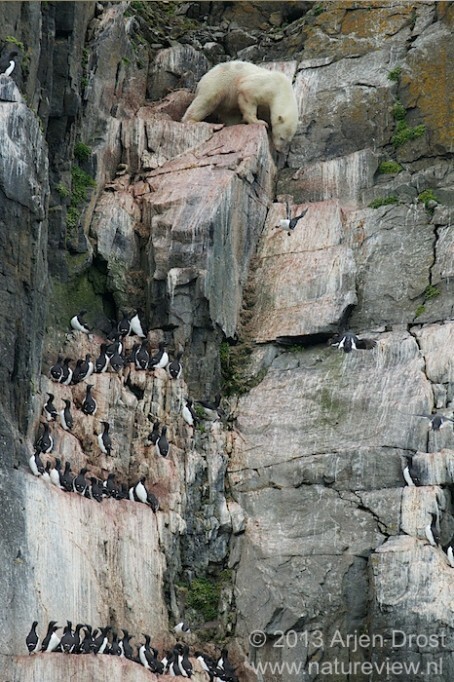 A bird cliff seems a safe nesting site. 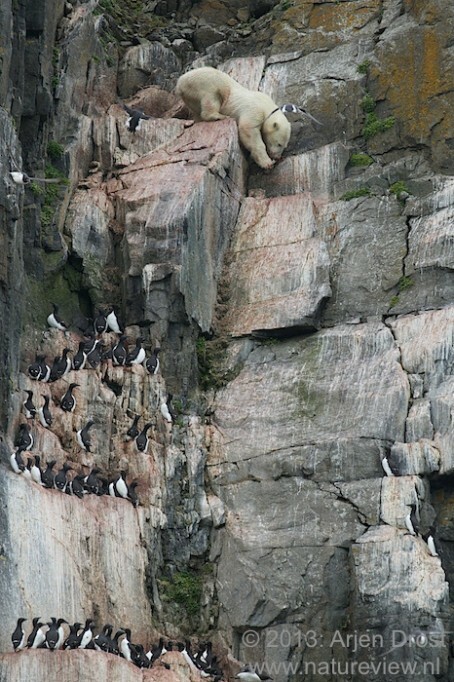 But I have seen spectacular climbs of polar foxes into the cliffs. 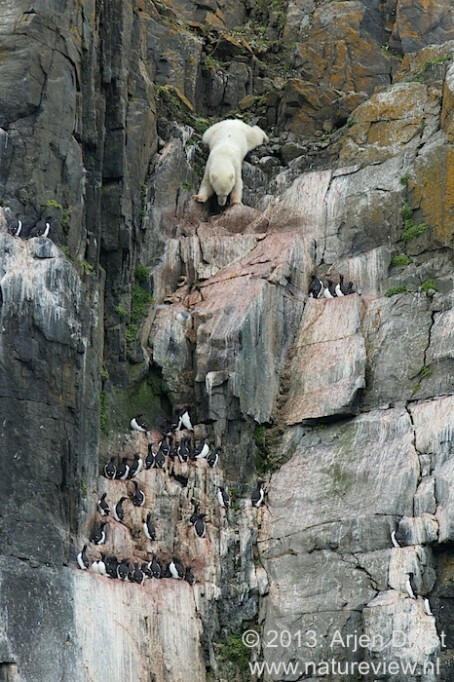 And Arjen Drost observed even a polar bear looking for food. 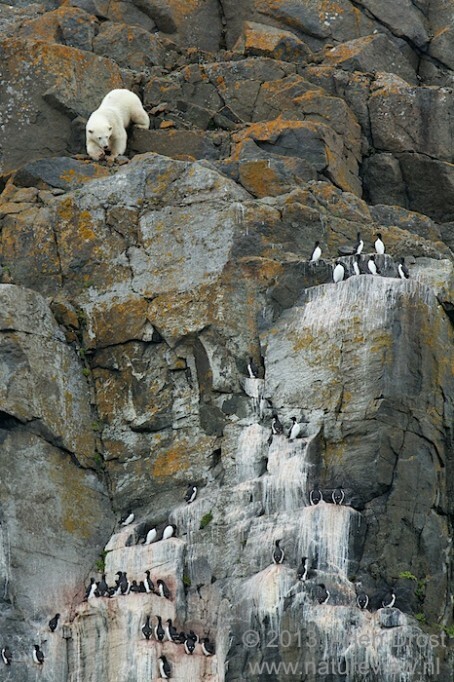 At Alkefjellet on the east coast of Spitsbergen, he made these pictures after first observing the base-jump of cliff nesting barnacle geese. The stories about polar bears exploiting new food sources are highly relevant for this species adapting to or suffering from climate change.